Birds NEED to fly. 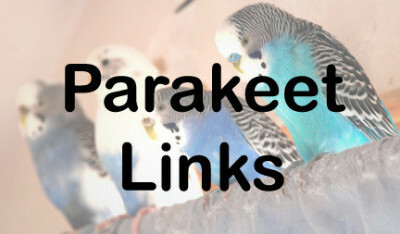 A parakeet needs the largest cage possible, preferably not a round cage or a high cage. A longer rectangular one is best. Choose a cage that is best for the BIRD, not for you or your decor. The ONLY reason you should have a small cage is if your bird is out of the cage MOST of the time. And birds should be. Of all the animals humans have as pets, birds have the largest roaming territory in their natural environment. Keeping a bird, any bird, in a cage is cruel and unusual punishment. My rescued parakeets live in a small bedroom upstairs. There is a 3 foot by 2 foot by 3 foot cage in the room, with no door on it. Inside the cage is where I place food and water, but there is NO DOOR. The birds go in and out of the cage, as they please. The rest of the room has stands and fake trees and branches around so that they can fly and perch in all different places. One of their favorite places to hang out and socialize is on the curtain rods, on which I have very cheap "disposable" curtains; i.e. ones I don't care if they get soiled or not. Parakeets DO NOT LIVE ON SEED ALONE. The fact that a keet can live on just seed for years, is only a testament to that individual bird's hardiness. Keets need a variety of different foods, as all animals do, to live a long, healthy life. There are high quality pelleted "seeds" available, which supposedly has all required nutrients. But variety is the spice of life. Whether pellets or seeds, it should be available to them all the time, but just as a backup to their other food. Every morning, I make my keets a plate of brown rice, corn and peas, and kale, but they also like spaghetti, broccoli, crackers and just about any food a human will eat. Careful, though, no junk food, especially chocolate. And no avocados, either. Don't forget water. Although they do not drink a lot, fresh water MUST be supplied daily. They also enjoy bathing in water, so an upside-down, clean frisbee, filled with kale leaves and water, is very tempting to a keet. Some keets just love to bathe and will do it daily if given the dish to do it in. 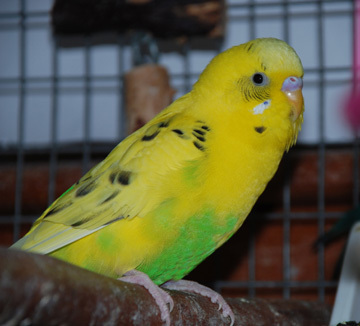 Parakeets are EXTREMELY social animals, and your bird will not be a happy bird if s/he does not have interaction with one or more birds, or his human, DAILY. It is unkind to put a bird in a cage, just give him seed and put your face up to the cage and talk to him from the outside of a cage, or give him a mirror to look at himself. 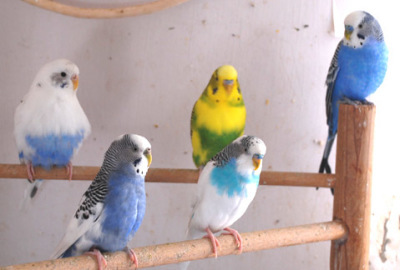 If you do not want to get another bird or birds for your keet, then make him/her an integral part of your life. These birds will "help" you cook, clean, work on the computer, watch tv on your knee and eat from your plate, once you are part of his/her "flock." And that is also a happy bird. 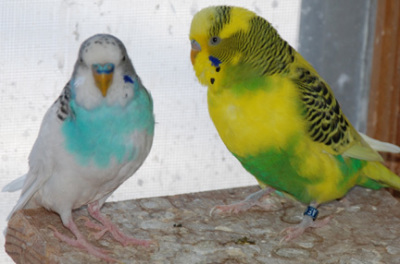 If you bond with your keet, you may find him/her imitating you. These small parrots are notorious for their ability to talk. It is more likely to happen with a solitary keet, but if you decide to only have one, then you must be his/her social life and have him/her thoroughly involved in your life.